The power-hungry folks at Hennessey Performance (HPE) have been modifying cars of all types for over a quarter century. 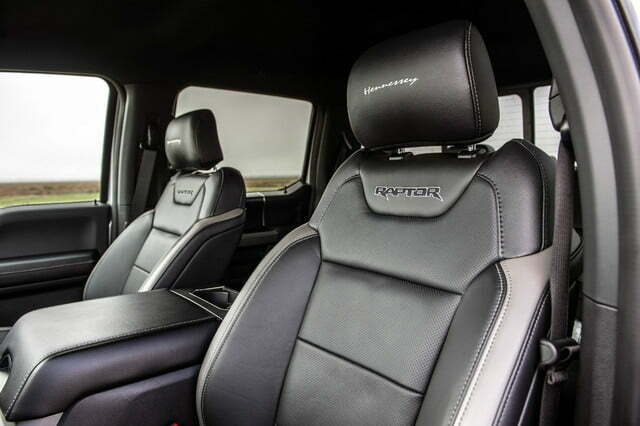 Where founder and CEO John Hennessey and his firm originally used sporty models from the likes of Porsche, McLaren, Lotus, and Ferrari (among others) as their templates, the offerings have expanded to include SUVs, sedans, and pickup trucks. 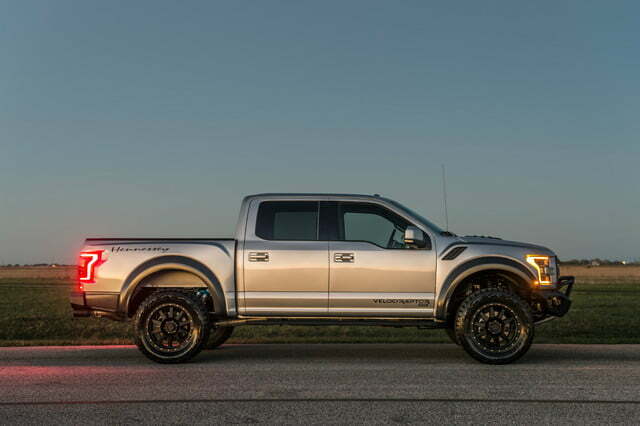 It is the last of these that is the focus of the latest project from the Texas tuner: The 2017 Hennessey VelociRaptor 600. 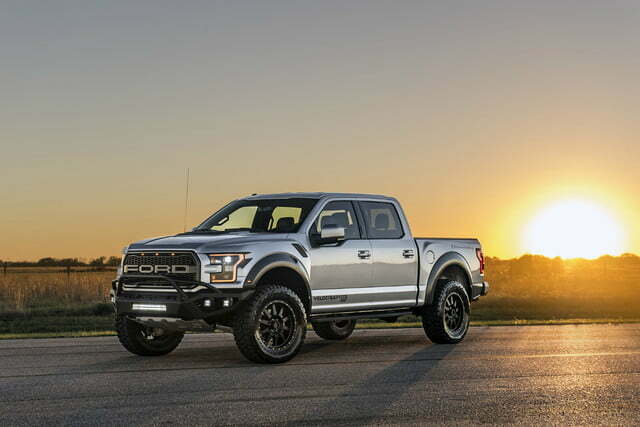 The team at Hennessey took the stock Ford Raptor’s 3.5-liter twin-turbocharged Ecoboost V6 engine and massaged its 450 horsepower up to 605 hp. Torque was also increased from 510 pound-feet to 622 lb-ft. As a result, the 0-60 mph time went down to 4.2 seconds, while the quarter mile time measured 12.9 seconds at 110 mph. 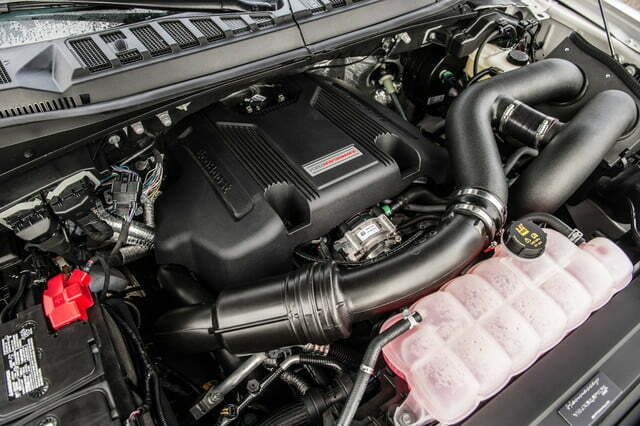 HPE installed higher-flowing turbos that breathe through a less restricted air induction system. Boost pressure was increased from 18 psi to 21 psi, which is fed through an upgraded front-mount intercooler. A free flow dual stainless steel cat-back exhaust replaced the stock system. 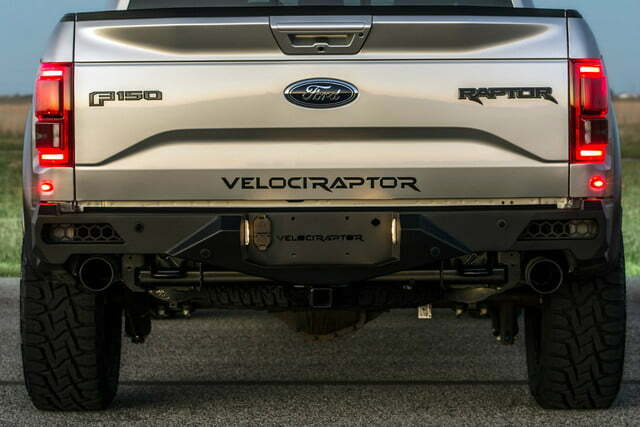 The Raptor’s ECU was upgraded to maintain power without adversely affecting drivability. 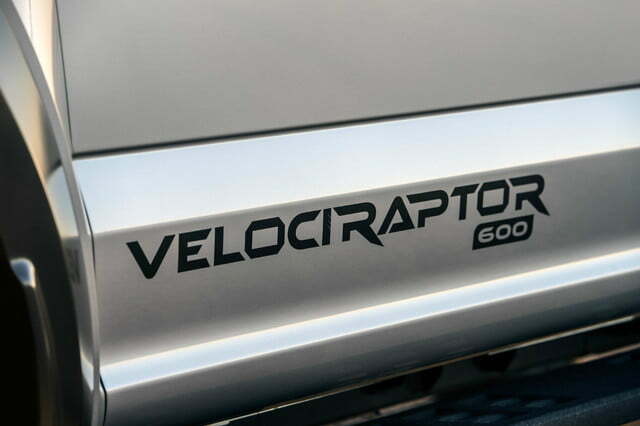 The VelociRaptor 600 upgrade costs $22,500 (on top of what you’ll pay for the stock Raptor) including installation. It can be ordered directly from HPE or Ford dealerships. 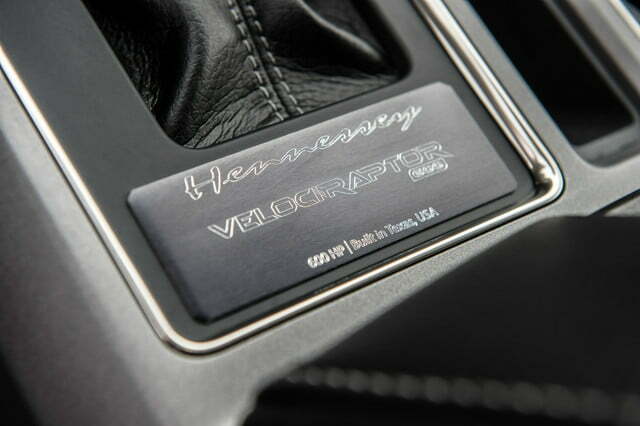 The VelociRaptor 600 twin turbo upgrade comes with a 3-year/36,000 mile limited warranty from Hennessey. For an additional $12,995, you can upgrade your 600 with Hennessey’s VelociRaptor Off-Road Package, which includes heavy-duty front and rear bumpers, LED lights, 20-inch Hennessey wheels with 35-inch Toyo tires, and a 3-inch lift.